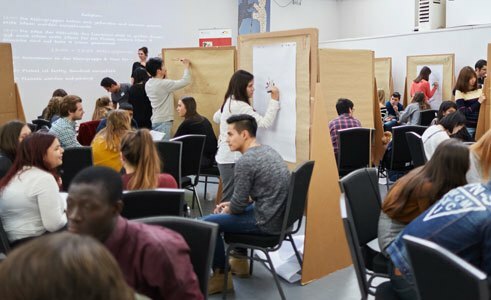 Networking, chatting and active involvement were the focus of the first International Alumni Meeting for the Schools: Partners for the Future initiative (PASCH). Around 120 alumni congregated in Berlin for two days in November 2016 to pool suggestions for future alumni work and pick the best alumni project of the year. Although the PASCH alumni come from completely different countries and have to work with widely varying content during the time they are studying in Germany, there are elements common to them all: their passion for the German language, their interest in Germany, their identification with PASCH and following on from that their connection with German teaching at the schools in their home countries. Many of them attended (PASCH) courses for young people while they were at school, took part in regional summer camps or were involved in competitions on PASCH-net. That became clear at the first two-day International PASCH Alumni Meeting, which was attended by 120 people from 43 countries by invitation of the Foreign Office and hosted in cooperation with the Goethe-Institut and the Central Agency for Schools Abroad (ZfA). The Schools: Partners for the Future (PASCH) initiative was launched in 2008 by Germany’s Federal Foreign Office, with the goal of creating a global network of partner schools with particular ties to Germany. Since then it has been implemented in cooperation with the Goethe-Institut, the Central Agency for Schools Abroad (ZfA), the German Academic Exchange Service (DAAD) and the Educational Exchange Service (PAD) of the Standing Conference of the Ministers of Education and Cultural Affairs. The network of partner schools now has over 1800 members worldwide from more than 120 countries, at which German has a special status. As well as promoting learning of the German language, PASCH provides an ongoing contribution towards cultural interaction and a better shared understanding. In the Future Workshop, the alumni got creative and planned their own projects. | Photo: © Bernhard Ludewig The goal of the Alumni Meeting was to reinforce the network of former PASCH students through interaction and the development of shared ideas for continued alumni work. 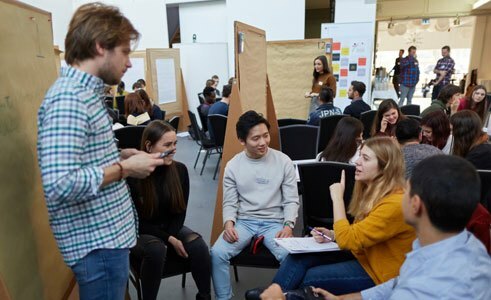 At the future workshop on the first day, the alumni reiterated that face-to-face encounters, swapping stories about studying in Germany and giving each other mutual support are particularly important factors. On the second day the focus was on workshops about project management, rhetoric, creating networks, job application training, publicity work and mentoring, to provide the alumni with further training in subjects relevant to higher education and their professional environment. 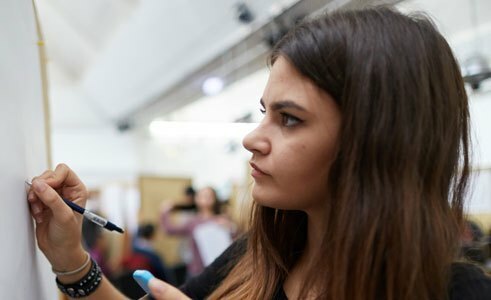 PASCH and the connection with the German language should not be consigned to the past like school-leaving examinations, it should continue to offer potential for interaction, networking, further education and identification for its holders. 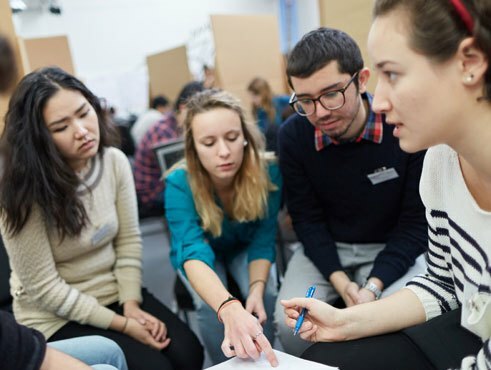 Promoting alumni work and developing an alumni network is something that is relevant to all schools and educational establishments offering German tuition, because it is the alumni in particular as key communicators who are best placed to motivate the students in schools. At the meeting the alumni made it clear that they are highly committed and also enjoy supporting German learning both in their home countries and in Germany, and are keen to provide information about studying in Germany. 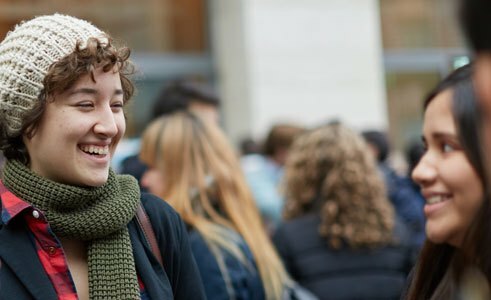 As organisers and supporters of regional events and projects, or even as a source of information for potential students – alumni can get involved in many activities and they enjoy relating their own experiences and being able to incorporate them in these activities. Guests at the first PASCH Alumni Meeting in Berlin. The alumni are very interested in passing on their own experiences. Many of them want to offer their services as mentors in order to make things easier for new students from PASCH schools when they arrive in Germany, which is still very much a foreign country for them, and begin their studies. The first mentor workshop was held within the structure of the PASCH Alumni Meeting, in which some of the alumni were introduced to the various roles and responsibilities of a mentor. As of next summer semester, each of these alumni will support one or two mentees, arming them with some practical tips. Whether the problem is overcoming homesickness, opening a bank account, difficulties with registration or coping with a new learning culture: the mentors give advice and students can talk to them as equals. The idea that the alumni can continue to play an active role in the PASCH network even after they have qualified is given a framework by the PASCH mentoring programme. 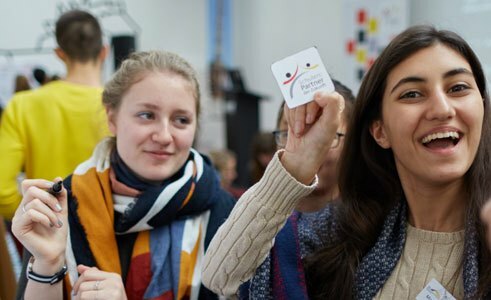 Furthermore some of the mentors will host informative events about study opportunities in Germany at the schools in their native countries – which means that they not only form a link between school and university, but also between their home country and Germany. Alumni project award ceremony 2016 l-r.: J. Lauer, U. Bayasgalan, Dr. H. Uhlig, B. Tumendalai, D. Batmunkh, N. V. Able, K. Hlomewu, L. Aledi, M. Mikhalchuk, H. Jantsch | Photo: © Bernhard Ludewig Would you rather be dedicated to the current social problems in your own country, or devote yourself to supporting and promoting the German language and culture in your country of origin? Social and community involvement is something that has been particularly honoured in the 51 proposed projects entered in the Alumni Project of the Year competition 2016. The six winning projects from Togo, Mongolia, Benin, India, Bulgaria and White Russia/Ukraine/Uzbekistan, endowed with a prize fund of 2000 Euro, stand out by being innovative, beneficial to the community and sustainable. The project from Togo for example aims to create a space in which the theme of migration can be discussed and insight into practical training in manual skills can be provided. While the project from Mongolia aims to arouse interest in the German language and culture, and promote knowledge about Germany in the Mongolian population – the project from India on the other hand focuses on encouraging social participation and educating disadvantaged children. As is clear from these examples, all the winning teams expressed their personal concerns and country-specific idiosyncrasies through their projects. Svenja von Itter is a trainee for PASCH, specialising in the field of “language and education policy” at the Goethe-Institut head office.